You are here: Home / Blog / Could Arista EOS Run On Whitebox Hardware ? 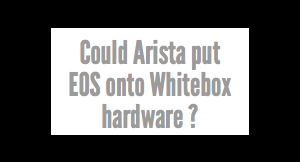 Could Arista EOS Run On Whitebox Hardware ? In fact, a little known secret is that Arista EOS was intended to run on third-party hardware. The Arista vEOS control plane provides the ability to run as a VM inside any virtualization environment. At any given time, Arista EOS could be defined to operate on third-party hardware or run on Arista platforms. The beauty of this model is its flexibility as a universal architecture for many cloud applications without compromising agility and openness. 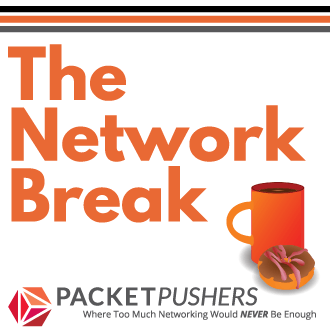 via The Software Choices for Cloud Networking – Arista Networks. Arista EOS already runs in VMs and used by customers for testing and software development of automation tools. Today, Arista chooses to packages their software with hardware, but recently Juniper has fully embraced whitebox with the OCX1100 switch which shows that the actual hardware matters less than years gone by (previous Ethernet switches in the EX-series are less obvious whitebox products). Arista has very small number of staff working on hardware development (maybe less than 200 I hear) but my guess is that when Arista decides to enter Campus networking (probably soon to boost sales and justify the current share price) it is likely to be with whitebox hardware. 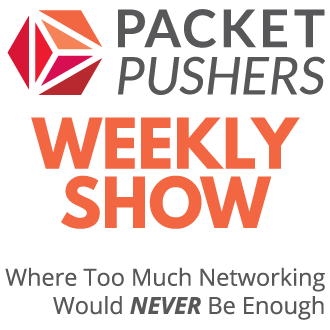 Why Bundle Hardware and Software ? It is simple and profitable enough to produce Ethernet chassis switches as a differentiator from generic whitebox products. There are signs that Cloud Providers are moving to Whitebox purchasing today while Service Providers are considering their options. Arista could choose to follow these markets while continuing to offer combined products to Enterprise (at higher profit margins). From a growth perspective, Arista is positioned to move with the market and offer EOS to customers whatever direction the market moves. Unlike Cisco, Arista has less to lose if they choose to do so and will continue to extract profits from Cisco customers who are looking for simpler, more convenient products at a lower purchase price. Combined with Arista’s focus on matching what customers already have (chassis, line cards and familiar CLI like any other vendor) it makes buying from Arista a good enough decision. Note: Before you ask, I doubt that Cisco will offer a version of its IOS operating system for whitebox in 2015 because the sales messaging and profit is captured in the “total value” but if there is significant market adoption they could be forced to do so. Every customer turning away from Cisco undermines their market dominant position and impacts long term service revenue which is forecast for substantial growth . If this does happen, the market trend to whitebox will move from minor trend for cloud providers to mainstream trend. The real trick is convincing investors this is the right move. They probably won’t like the idea on losing out on hardware revenues. Do you mean Cisco investors or Arista investors ? There would still be hardware revenue … I am not going to go out and test 10 different White Box hardware vendor products, I would like to buy both at the same time; software and hardware. RFP/RFQs would become insane otherwise and I may not get the better / best pricing `a la carte.